First cruise? Our best advice is not to hesitate to hop on board! We dispel old cliches and introduce you to a whole new world at sea. 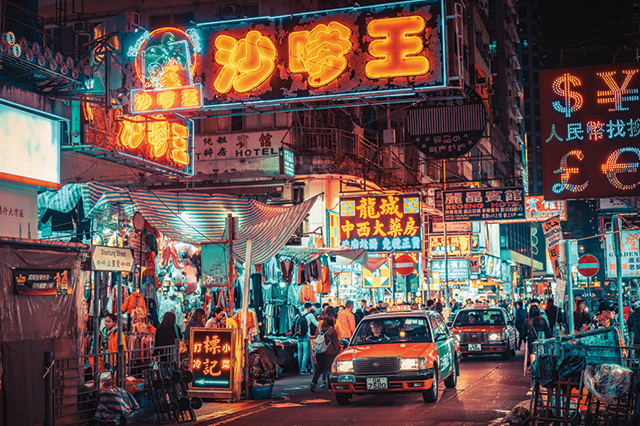 We used to count on socialites and salty sailors to spin tales about how life at sea can captivate, but in this age of cruise ship proliferation plenty of people have ascended gangways to find a floating nirvana. And why not? After dozens of ocean voyages, my top tip for would-be cruisers is don’t hesitate to hop on board. 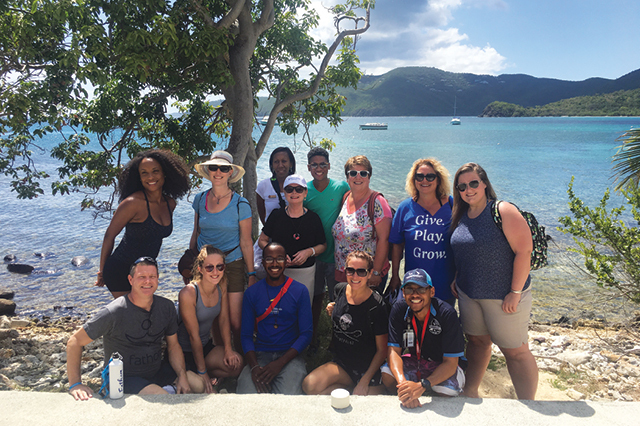 According to the Cruise Lines International Association, nearly 90 percent of cruisers have an experience that exceeds expectations. So it doesn’t require a leap of faith. Chances are you’ll love seafaring life and book a follow-up cruise before disembarking (a good idea as early bookings offer favorable rates). Sailing past cruise cliches proves helpful, too. On tech-savvy ships with stabilizers and weather-avoidance systems, you’re not likely to get seasick, especially on voyages through the calm wash of the Caribbean Sea or the silky waters of Alaska’s Inside Passage. Summer is the season to visit Alaska, where you can’t go wrong with Princess or Holland America, two lines dominating the region. The Caribbean is more egalitarian, with boats from every line bobbing there year-round. It’s the perfect choice for neophytes testing their sea legs. Most ships depart from Florida ports, but Celebrity, Norwegian and Royal Caribbean have convenient Northeast ports. If you fear feeling boxed-in or overwhelmed with formality, think again! 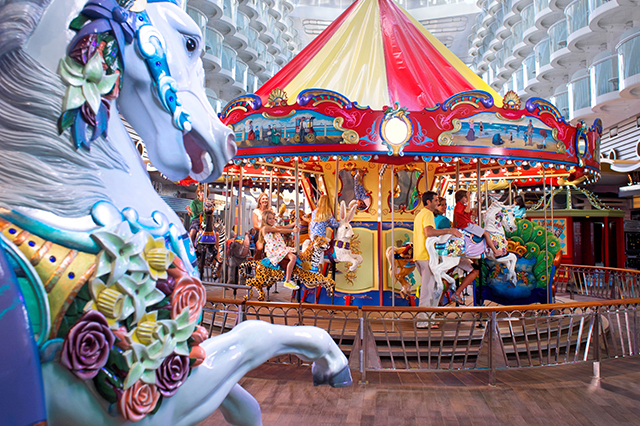 Carnival, Norwegian, Princess and Royal Caribbean sail city-sized ships with a casual vibe. Try stepping aboard one of Royal Caribbean’s record-breaking leviathans – Oasis of the Seas, Allure of the Seas and Harmony of the Seas. They actually have “neighborhoods” to explore. Adorned with foliage and alfresco eateries, one enclave celebrates Central Park, while another boasts a Boardwalk theme complete with a hand-carved carousel. These ships also sport zip lines, rock climbing walls, surfing pools and ice skating rinks. 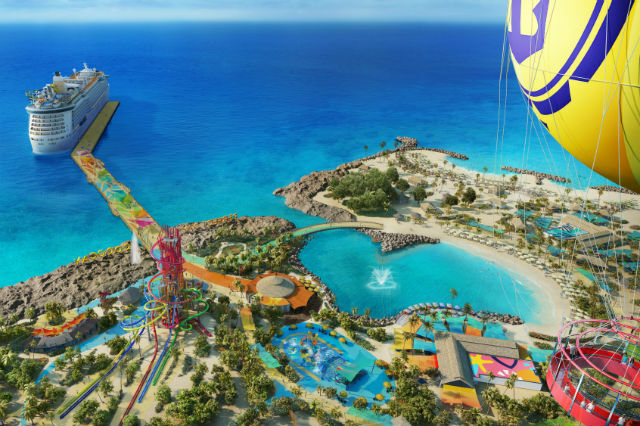 Anthem of the Seas, which sails from New Jersey, touts a skydiving simulator, bumper cars, trapeze pits and an observation pod that dangles over the sea. 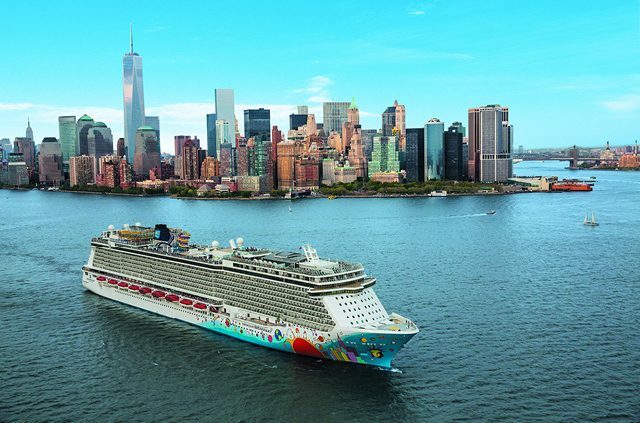 Another sure bet, Norwegian Breakaway, departs from New York and delivers the fastest drop-slide afloat, as well as a fun ropes course that extends beyond the ship. For those seeking refinement, Holland America’s new ship, Koningsdam, beckons with its traditional teak promenade and an interior inspired by musical instruments. Fittingly, Koningsdam presents entertainment in partnership with Lincoln Center, Billboard and B.B. King’s Blues Club. Similarly, Celebrity’s Solstice-class siblings propose sophisticated diversions. Picture a sublime, topdeck Lawn Club with real grass. Banish worries about gaining weight as well. The best tip I ever took was to forgo elevators. Multideck boats provide an unwitting workout, and I’ve discovered stairwells harbor brilliant art. To plump up or pump up is a choice on ships offering fine food and fitness centers. Canyon Ranch SpaClubs and dedicated clean-cuisine restaurants enhance Celebrity’s ships, while Royal Caribbean’s signature Vitality Cafe dispenses healthy snacks and smoothies. Basically, there’s been a food revolution afloat. Alliances with lauded chefs have upped the quality quotient. During my last cruise I savored light, inspired fish dishes at Ocean Blue, a restaurant aboard Norwegian’s newest ships. A cruise won’t break the bank, either. It’s an inclusive deal that covers food, lodging, transportation and entertainment. Still, expect fees for gratuities as well as optional specialty dining and beverages. Spa services and excursions cost extra, too. Consider pre-booking to avoid unanticipated bills. Dining packages grant specialty restaurant discounts. It’s worth noting that some lines offer lunchtime sea-day savings. Conversely, spas frequently promote port-day specials. If you’re budget-conscious, cabin selection provides a greater potential for savings. 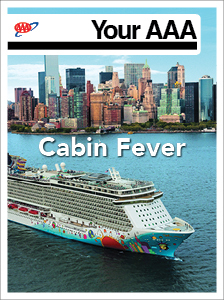 Identical cabins are priced differently just depending on deck location. Plus, did you know some inside cabins offer views? Royal Caribbean’s biggest boats have cabins overlooking interior neighborhoods, while others boast virtual balconies via LED screens. For solo travelers, refuge awaits in Norwegian’s studio cabins featuring private digs surrounding communal lounges. No-fly embarkation ports also cut costs. Remember, most boats are jacks-of-all-trades, built to satisfy many and perfect for multi-generational groups. Still, size matters and one tip trumps all when it comes to ocean cruising: Bigger ships are better universal fits. For first timers, port rich itineraries make sense, too. They ensure you won’t be on the boat all day, every day – even though you might be tempted! AAA offers great cruise deals for members. 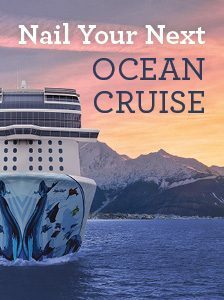 Visit AAA.com/Cruises to learn more and to book your trip. Or visit your local AAA for a free presentation. Find an event near you at AAA.com/TravelEvents. Do I Ever Need to Check My Child’s Credit?